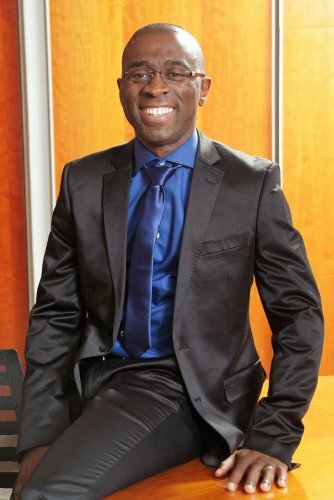 Andile Mnguni, an executive at Tongaat Hulett Developments has been appointed to the national board of the South African Institute of Black Property Practitioners (SAIBPP). This follows his appointment as chair of the committee of the institute's KwaZulu-Natal chapter in January. Launched in July 1996, SAIBPP contributes towards policy formulation, facilitates education and skills development and helps remove bottlenecks to the growth of Black owned property businesses. Membership is open to professionals, corporates, public sector departments and employees, entrepreneurs and students. Mnguni has over 17 years' experience in the property and construction sector. His tertiary qualifications include a B Tech in Quantity Surveying from the Durban University of Technology and an MBA from the University of KwaZulu-Natal. After working as a quantity surveyor for Aveng Grinaker-LTA, he joined Tongaat Hulett Developments where he has led development and served as a director and chairman of property management associations at Izinga, Umhlanga Ridge Town Centre and Ridgeside. He is currently responsible for the development and execution of Tongaat Hulett Developments' Outer West landholding strategy. Mnguni says, "SAIBPP does great work and I am pleased that, thanks to the experience I have gained and the support of Tongaat Hulett, I will be able to contribute to the development of the property sector and provide a KZN perspective on national issues facing our industry." Tongaat Hulett is an agriculture and agri-processing business, focusing on the complementary feedstocks of sugarcane and maize. Its on-going activities in agriculture have resulted in the company having a substantial land portfolio within the primary growth corridors of KwaZulu-Natal with strong policy support for conversion at the appropriate time. A core element of Tongaat Hulett's strategic vision is to maximise the value generated from the conversion of land in the portfolio by responding to key demand drivers and identifying its optimal end use for all stakeholders.